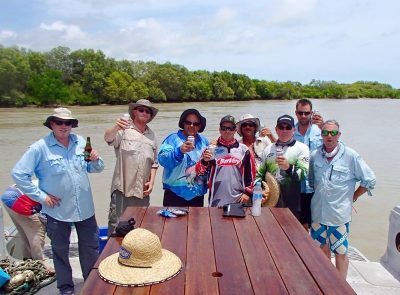 Your home away from land is crucial when fishing in Northern Territory waters, so take your time to wander through our Humbug Fishing boats. 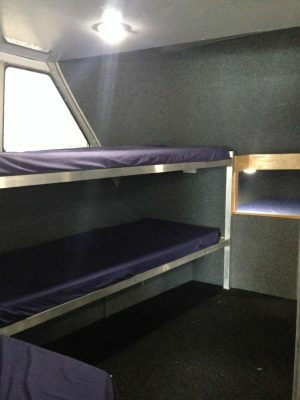 A large air-conditioned lounge and cabin area with comfortable seating licenced for up to 12 passengers. A full size fridge, freezer & BBQ. 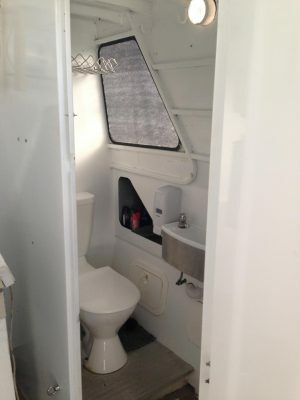 Brute Force accommodates up to 12 person, but we like to keep it to 8, (so you can have 4 person per tender) in single air-conditioned bunk-style accommodation area, above the water line. On deck Brute Force has a huge fully shaded, ‘mozie screened’ area for comfortable relaxation, this area also contains the custom built gallery and dining area. 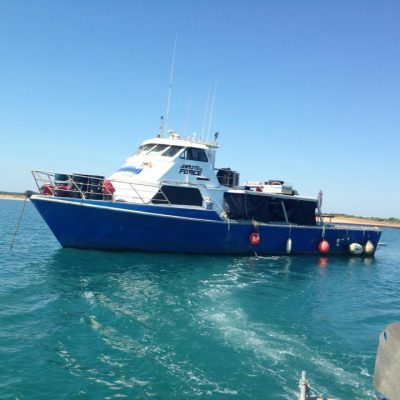 Brute Force has had a complete work over and refit above deck in 2014, It has now been custom built to suit Northern Territory conditions and is a very comfortable vessel for our overnight to extended fishing charters. 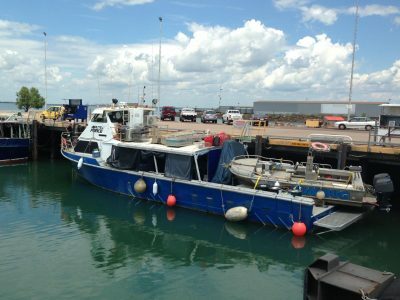 Humbug is an efficient 7 meter TriHull, with twin 100hsp Yamaha motors and is licenced to carry 6 passengers. 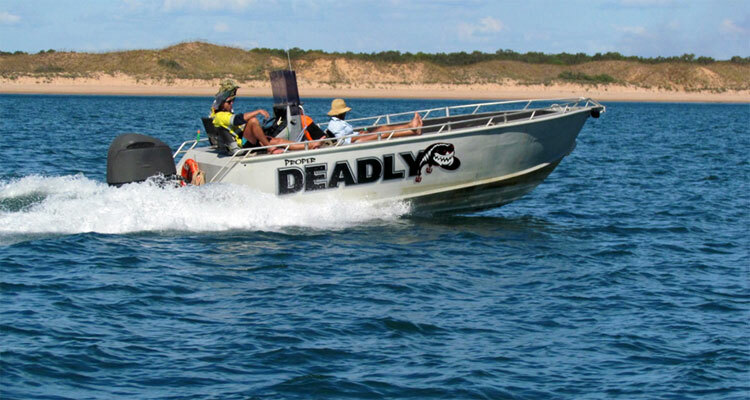 Deadly is a 7meter plate aluminium boat with a Yamaha 225 hsp outboard motor and is licenced to carry 6 passengers. 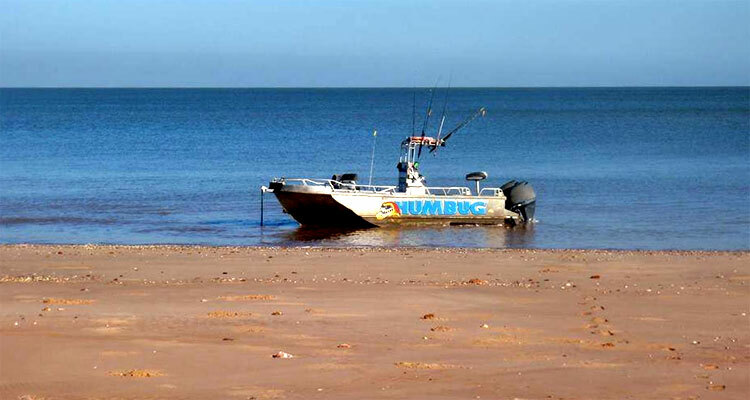 Humbug and Deadly are used as our tenders for daily fishing trips out on the water. 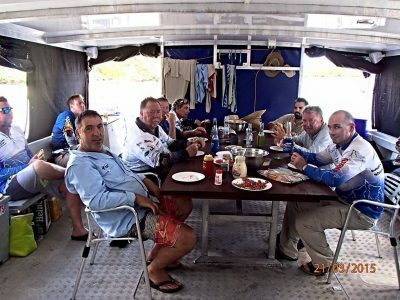 If you know where you want to fish, use our ‘Mothership’ and it’s facilities for accommodation and bring your own tinny. Meet at a location or we’ll work in together, moving along with a designated plan. 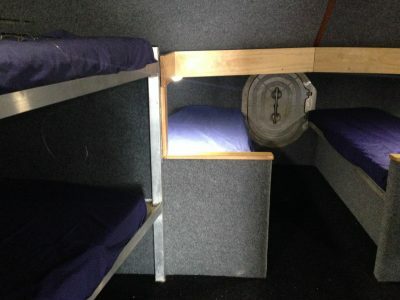 During the months of Feb til July use, our ‘Motherships’ as accommodation, bringing your own tinny and gear along. 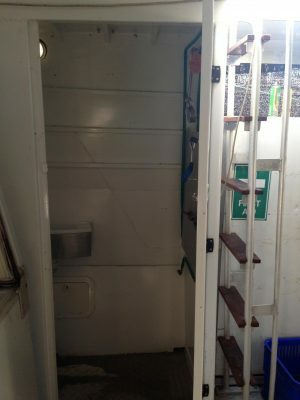 Enjoy all the facilities of the ‘Motherships’.